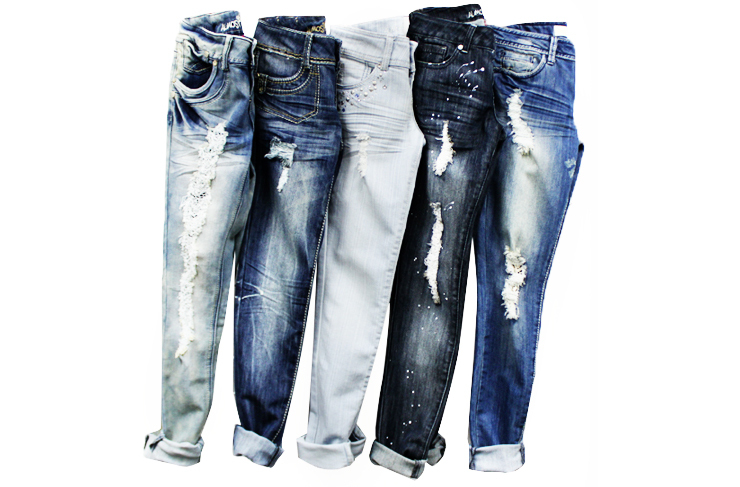 Distressed denim should have a spot in your wardrobe rotation this season. Be bold with leg-long tears or keep it minimal with a few ripped spots. There are many ways to incorporate distressed denim into your wardrobe, no matter the occasion. Dress up the worn-in denim with a blazer, button up blouse and pumps. Wear with a denim jacket or shirt on a laid back day. Finish the casual look with a fun pair of flats.